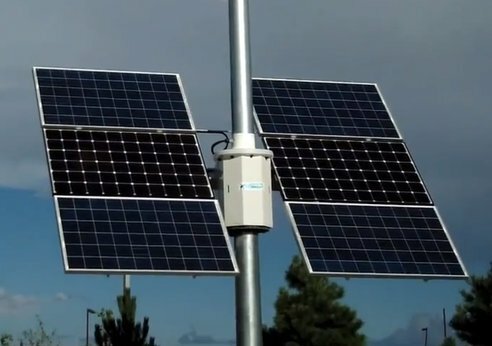 Skystream Hybrid 6 wind-solar system increases energy production of the solar array by up to 35 percent compared with a fixed mount system. This helps offset changes in weather through the seasons and delivers more overall energy in many locations. Skystream Hybrid 6 is based on the Skystream 3.7 wind turbine, which is among the most highly tested and certifed small wind turbines available.